Ken Spencer was born in Liverpool and has a fine art background. After living and working in various locations on Merseyside and in Yorkshire. Ken moved to Northumberland in 1974. An enthusiastic walker in Europe and at home, the move to Northumberland with its wild, empty landscapes, profoundly affected Ken’s painting. His work developed quickly, turning from the figurative focus to dramatic images of the Northumbrian landscapes. Ken works rapidly in transparent layers and washes. These are then built up into vigorous textures with quite thickly applied opaque pigment. 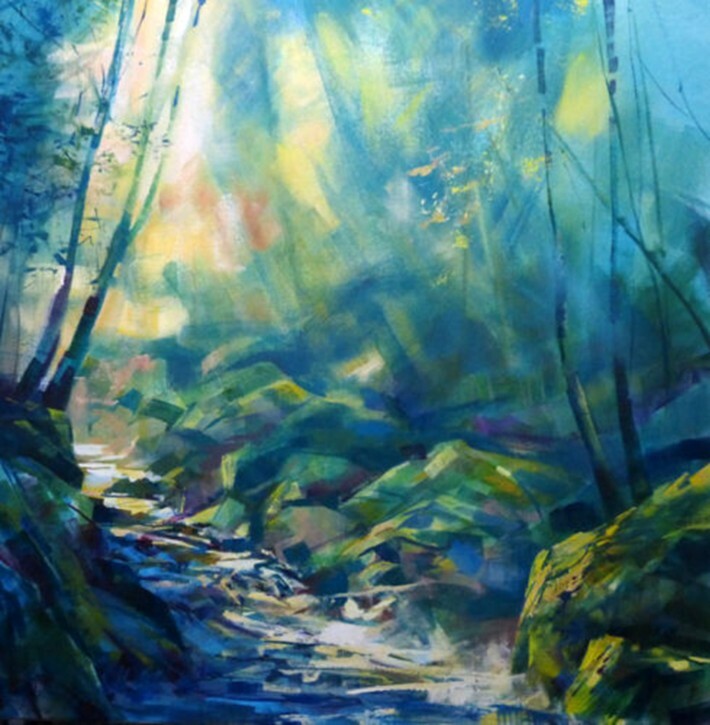 In this way he captures the quality of the light and the raw physical beauty of the landscape. 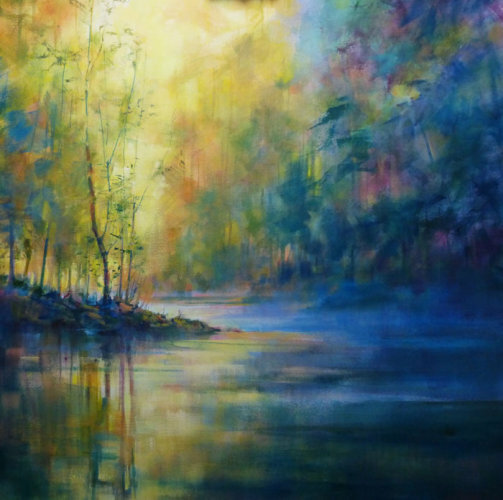 Some of Ken’s more recent paintings have become quite abstract in their insistence on capturing the transient effect of light on the landscape.